ONLY ONE SUPPLIED. PLEASE CHOOSE BIGGIE, POPPY OR GUY DIAMOND DURING PURCHASE. Let DreamWorks Trolls Poppy lift everyone around her up with her positivity! 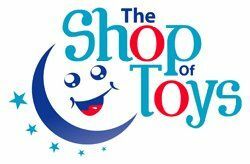 Her squishy doll body talks and features cool sound effects straight from the movie. 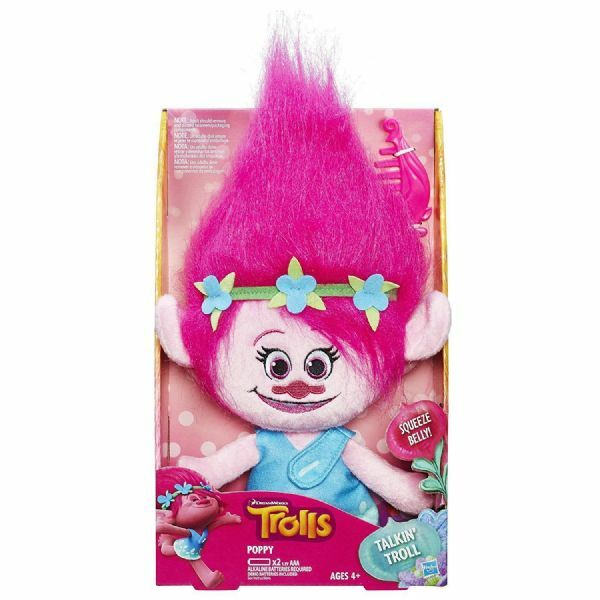 The Poppy Talkin' Troll doll has plush hair and a comb you can use to create trollicious styles! 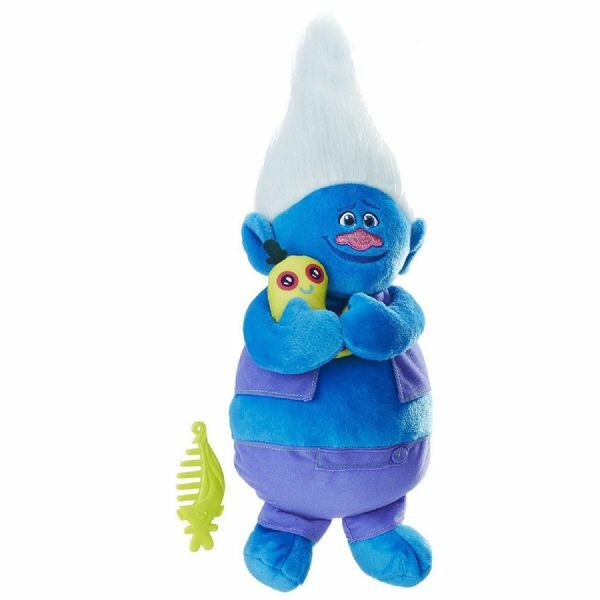 Along with DreamWorks Trolls Biggie's great size comes a big heart -- and a best friend to Mr. Dinkles! This plush version of this lovable character (with his friend in his arms!) talks and features cool sound effects straight from the movie. Blessed with heaps of confidence -- but not a stitch of clothing -- DreamWorks Trolls Guy Diamond knows how to kick off any party! This plush version of him talks and features cool sound effects straight from the movie. 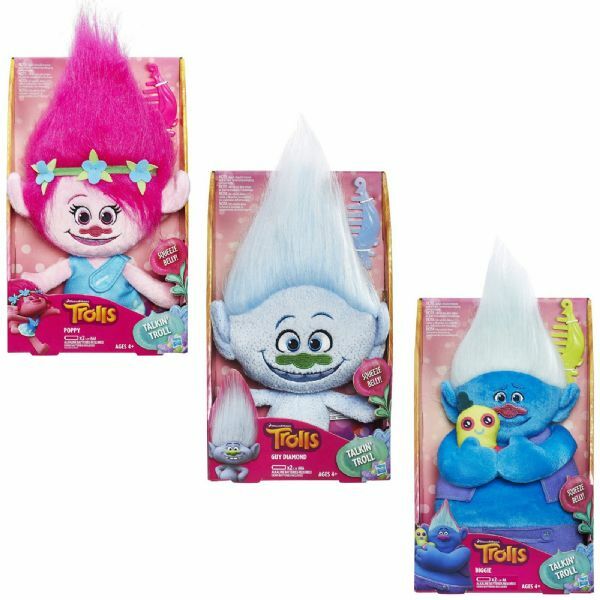 The DreamWorks Trolls Biggie, Poppy and Guy Diamond Talkin' Troll dolls stands at 14 inches tall.